Calgary First Aid is the best provider of occupational health and safety (OH&S) first aid and CPR training courses in Calgary. This provider has been providing workplace approved programs in the Calgary area since 2009 and has become the most popular provider since then. Learn about managing and recognizing emergencies such as broken bones, seizures, anaphylaxis, shock, poisoning, hypothermia, heat stroke, heat exhaustion, fevers, infection, internal bleeding, pneumothorax, frost nip and many more emergencies when you enrol in two-day standard first aid training. The most popular courses for students are emergency, childcare, and standard first aid classes. Calgary First Aid offers the largest selection of high quality training programs with experienced teachers and the lowest prices. Learn basic life saving skills and CPR by enrolling in first aid courses in Calgary. Registering for CPR and first aid training courses by Calgary First Aid can be done through the Calgary First Aid website here. Students can easily enrol through on-line, telephone or e-mail registration as well. If you have any questions regarding classes or schedules, use the information below. This training provider is conveniently situated just outside of down-town Calgary. Free parking is available next to a neighbouring park. Students have excellent access through public transit as a brand new C-Train station is located across the street. For more information about the location of this main training facility, check out the map below. Participants that complete workplace approved first aid and CPR certification programs will immediately receive OH&S approved certificates. These awards meet Alberta workplace standards. Certificates are provided immediately upon successful completion of the course. Wallet sized certificates are provided, however, participants may also opt to receive wall-mount awards. These certificates are valid throughout Canada for 3 years and many get be renewed by attending condensed re-certification courses. Three popular basic first aid courses are available for participants. The most popular course is standard first aid. This is a two day course that teaches a wide range of topics ranging from heat stroke to broken bones. 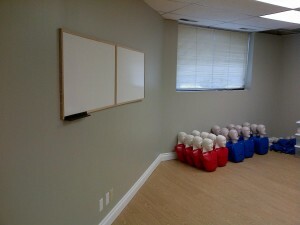 CPR and AED training is included in each course. Standard childcare first aid is a course designed for individuals that work in the childcare / daycare industry. It is approved by OH&S and is very similar to standard first aid but offers additional content for individuals in the childcare industry. Emergency first aid is the most basic course that requires one day to complete. Participants are able to partner the courses with CPR level “A”, “C” or “HCP” for either standard, emergency or childcare first aid. First aid classes will cover hot and cold therapy for a variety of injuries. Trainees can enrol in stand-alone classes for CPR if they do not want to undergo the entire training course. These courses require approximately 5 hours to complete and also include automated external defibrillator (AED) training. Typical participants are normally post-secondary students. Re-certifications are also available for CPR level “C” and “HCP”. CPR standards are provided by the American Heart Association and the International Liaison Committee on Resuscitation (ILCOR). Certificates are valid for 3 years. Private classes are also available to big groups or companies, or even trainees with scheduling problems and cannot enrol in any of the regular class schedules. Calgary First Aid offers the most affordable rates for all classes. Program rates include books, taxes, and accreditation charges. 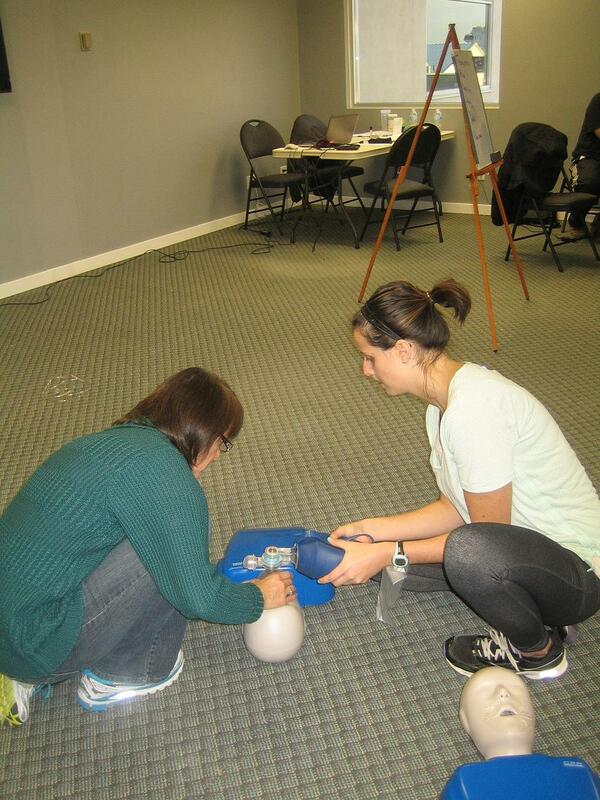 Course costs vary from 50 dollars to 140 dollars, based on the category of the CPR training course. The following is the standard prices for all St Mark James CPR courses available with this Calgary provider. Full refunds are given to trainees who drop out, provided a 72-hour notice was given beforehand. If you are looking for stand-alone CPR level “B” courses, you won’t find any offered by any of the major first aid and CPR providers in Canada. CPR level “B” is so similar to CPR level “A” that the programs are almost identical. This lead to the removal of level “B” from the program. However, to add to the confusion St Mark James maintained CPR level “B” with the emergency and standard childcare first aid programs. Only candidates that register for St Mark James emergency and standard childcare first aid can receive CPR level “B” certification.